Home » Resources » Blog »Ask Dr. Parker: Why Does “Pod Size” Matter? Ask Dr. Parker: Why Does “Pod Size” Matter? In his latest advice column for leaders in value based care, Rich Parker, MD tackles the question of the number of patients for whom a physician leader should be responsible. You may have heard the term “pod” used to describe the group of patients and providers for whom a physician leader is responsible. Ever wonder how many patients need to be in that “pod” for it to be actuarially sound? In other words, when we talk about doctors having clinical and financial responsibility and accountability for a group of patients, what are we actually talking about? As it turns out, this is a profoundly important – and interesting – question. Based on my own experience managing a large ACO, I am going to answer that question for you in today’s article. Part of the answer lies in economics and part of the answer lies in human motivational theory. Let’s start with some basic facts. In an ACO, the primary care physicians (and their mid-level providers – nurse practitioners and physician assistants) hold the lion’s share of responsibility for making certain that their patients receive the correct care and not too much unnecessary care. The vast majority of health contract required quality measures, such as cancer screenings, diabetic measures and patient satisfaction fall to primary care. Primary providers write at least 50% of all prescriptions, control referral and access to specialists, manage most of end of life care and deal with the majority of behavioral health and mental illness issues. For children, pediatricians hold the responsibility for well-child visits, vaccinations and asthma care. Care managers, who help look after the more complex patients, relate almost exclusively to the primary providers, not the specialists. Given this heavy weighting of responsibility for overall cost and quality of care to the PCPs, it is not surprising that many ACOs have structured their allocation of patients completely to PCPs, and have consequently given them the economic incentives that go along with that care responsibility. So if you are with me so far, the next logical question is how is this accomplished? A common approach is to divide doctors and their mid-level providers up into groups, often called “pods”. These pods by extension have all the patients attributed to those providers under a value based contract. For example, the average internist or family practitioner might carry a full patient panel numbering 2,000 patients. Ten full-time doctors would carry 20,000 patients in the aggregate. Is that a good number for a pod? Is it too big? Is it too small? Here’s where it gets interesting. If you give each group of pod physicians responsibility for just their own patients and reward them financially, successful ACOs see quality scores go up and unnecessary utilization go down. We have learned from experience that a pod with a minimum number of 5,000 patients can succeed, and a pod with a maximum number of around 40,000 patients can succeed. Why is this so? On the lower side, too few patients, e.g. under 5000 becomes actuarially unsound, vulnerable to the vicissitudes of a few too many patients sick with cancer, car accidents, long ICU stays or other severe medical problems. With too few patients, it is also very difficult to predict utilization with any degree of certainty. And, just a few non-compliant patients can undermine success in quality measures. Too few doctors in a pod may not allow for the “hybrid vigor” of different opinions and approaches on how to do things better. For example, a pod with only three or four doctors may not feel as open to change as a pod with ten to twenty doctors. An article in Health Affairs titled “Structuring Physician Leadership to Promote Accountable Care” cites the minimum number of patients at 5,000 for an actuarially sound pod. If a group of doctors in a pod gets too large, we see the predictable problem that any one doctor does not feel that she or he will be rewarded for working harder because it will be diluted in the larger group. These pods sink or swim together and therefore share in the financial rewards or losses as a group. An ACO with 100,000 patients might realistically attempt to form 10 pods each with 10,000 patients. If you consider that many primary providers don’t work full-time, this could include 5 to 10 doctors per pod. The panel size per doctor can swing upward with assistance from a nurse practitioner or physician assistant. Team based care with nurses can also increase the panel size per physician. Part of the strategy of the successful ACO is to find doctors who already work together, or at least share call, and fundamentally share a philosophy of constant quality improvement. These arrangements are harder to put together in more rural areas where doctors have fewer opportunities to interact with each other. Realistically, pods will vary in size based on the realities of practice size and proximity to each other. The beauty of the pod system is that the providers are ultimately the stewards of their work, and responsible for both clinical and financial outcomes. The actuarial range of 5,000 to 40,000 patients allows for IT-based feedback of meaningful data to these providers on quality measures, utilization and coding. It is axiomatic that success in this pod based strategy requires high quality timely data, ideally extracted nightly from EHRs and aggregated with monthly claims data. I believe that team based care nested in this type of actuarially sound pod system is the best way to provide high quality, cost effective care. 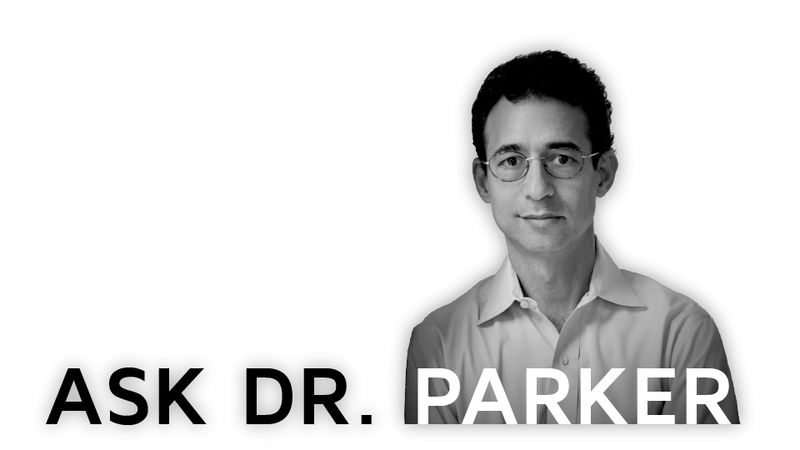 Have a question for Dr. Parker? At Arcadia, we’re always happy to talk about value based care. Simply fill out the short form below to send a note to Dr. Parker.